Join us at the Missouri History Museum in St. Louis, Missouri as we Revisit a German State in America, an exhibit funded and created in Germany, that has been years in the making, and traveled all the way across Germany and the United States. The exhibition will be open from November 22, 2014 until April 19, 2015, as the Missouri History Museum hosts many lectures, films, programs and events in conjunction. 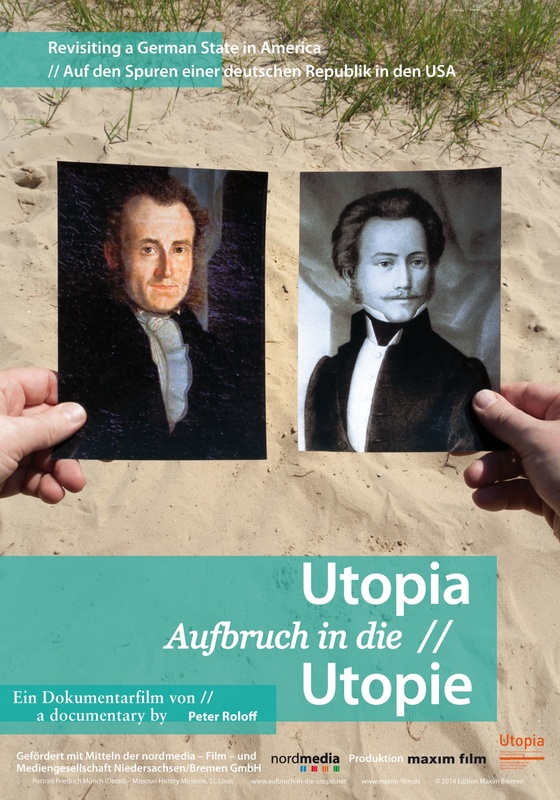 The free exhibition was created by an internatioanl group of historians, archivists, film makers, photographers and artists called the Traveling Summer Republic, and is in both German and in English. 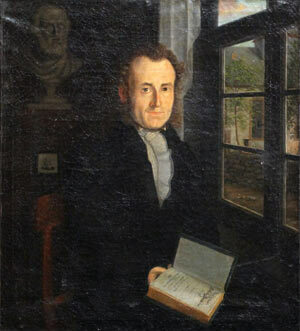 The exhibit explains events in Germany in the early 1800s which led up to the founding of one of the largest German emigration societies organized in Germany to come to Missouri by Friedrich Muench and Paul Follenius. The Society originally planned to create a German State in North America. Although the group fell apart, and was unsuccessful in its’ original goal, over 30,000 Germans emigrated to Missouri between 1834 and 1837. By the mid-1800s these had been joined by over 100,000 more German immigrants, making Missouri a state that is very German even today. 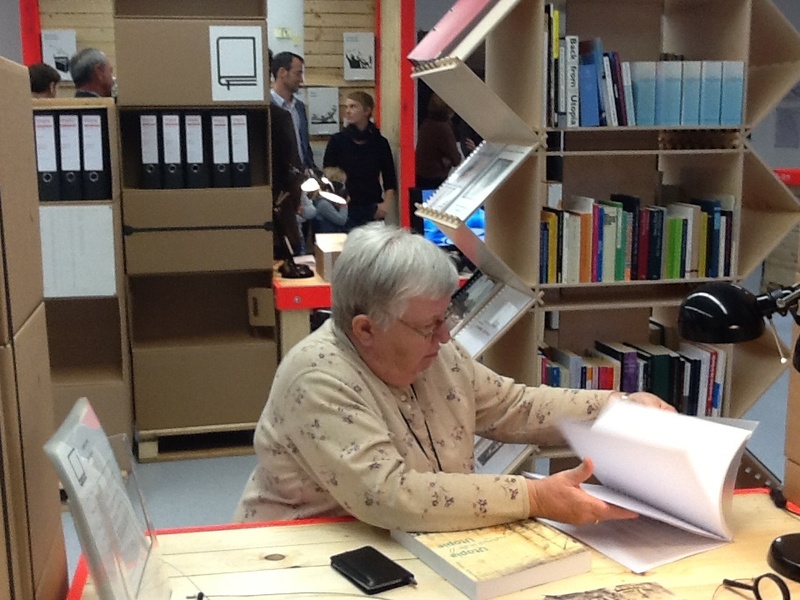 Descendant of Friedrich Muench utilizing the Utopia exhibition archives in Giessen Germany. Included in the exhibit is an archives of the hundreds of documents, diaries, journals and history used to create the exhibit, that researchers may utilize to understand the story better. 11:00am – 3:00pm (starting hourly – 11, 12, 1 and 2) In the Gallery: Guided tours in the Gallery by artistic directors Oliver Behnecke and exhibition designer Hendrik Weiner. 12:00 – 2:00pm – Lee Auditorium “Looking back to Utopia”. Artistic director Peter Roloff talks about the development of the Utopia project.